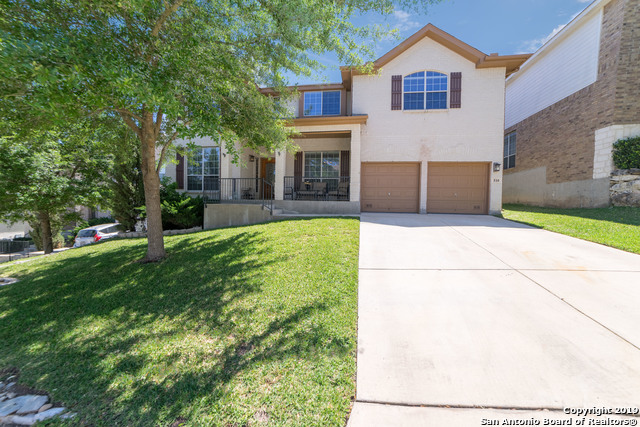 All PROMONTORY POINTE homes currently listed for sale in San Antonio as of 04/24/2019 are shown below. You can change the search criteria at any time by pressing the 'Change Search' button below. "Need space? Immaculate home has room for everyone. Greeted w/a covered porch where you can enjoy an afternoon chat. Love to entertain? Begin w/ a welcoming formal living & dining. Adjacent family room open to kitchen for meals cooked on your gas stove. Enjoy conversation at the island or step out to the deck for coffee. Ready to rest? Large, private master suite down w/relaxing tub. Large gameroom up for recreation + quiet reading nook. Host guests in 5 spacious bedrooms & 2 full baths. Applianc"
"The PERFECT, MOVE-IN READY family home in Stone Oak!! This home features a functional, family-friendly floor plan with 3 car tandem garage, soaring ceilings, game room upstairs, Jack and Jill Bath upstairs, tons of storage and a deck to enjoy the outdoors. Beautiful wood floors throughout downstairs living area!! New Carpet in all bedrooms!! Close proximity to the pool and community Amenity Center. Highly sought after NEISD Schools!! 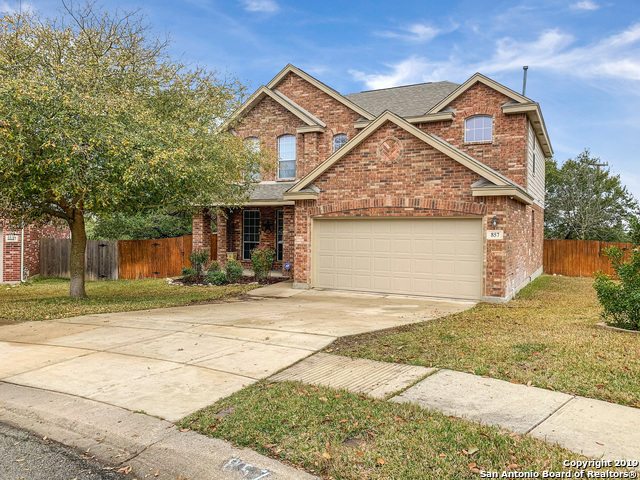 Walking distance to Wilderness Oak Elem and great Stone Oak Lo"
"This beautiful, cul-de-sac Stone Oak 1-story Perry Home is move-in ready with freshly painted interior, 4 bedrooms, 2 baths, 3-car tandem garage. 4th Bedroom is ideal for a private study with French doors and wood flooring. Roof replaced 2017 & tankless Rinnai water heater. Surround sound prewire. Refrigerator, water softener, sprinkler system, washer & dryer included. Enjoy evenings on your Brazilian wood deck or a dip in your private spa. NEISD schools include Reagan HS. Full amenity center wi"
"Own the Stone Oak lifestyle! This beauty exudes impeccable ownership pride in maintenance! Situated on amazing oak studded, corner, cul-d-sac lot. Home features dramatic entry, high ceilings, formal dining, crown molding & LR fireplace. Kitchen w/new ss appliances, breakfast nook & bar. Master on first! Home w/rare 3-1/2 Baths. Huge media/game room. Charming pergola enhances backyard, flagstone patio & partially xeriscaped garden. Custom built garage storage platform. Save w/Solar energy, Bill a"
"Gorgeous two story home located in a prestigious community with a gated community, It is in a Cul De sac Low Traffic. Beautifully upgraded with new high quality water resistant laminate flooring, Carpet, fresh paint This home is move in ready." "Amazing 5 Bedroom Home in cul-de-sac on 1/4 acre property w/ Bluff view and Spacious Back Yard ! Gated community home features separate Dining, Master Down w/ Ample sized bedrooms / closets and upstairs Gameroom. Huge Composite deck added (40' X 11'), New roof installed 2017 and 14 Seer AC System replaced 2014. Other features include: Video Security System w/ mobile access, full outdoor sprinkler system and back yard shed. Located near Wilderness Oak Elementary, Panther Springs Park and Stone"
"Freshly painted Move-In Ready single story home in the desirable Promontory Pointe subdivision with easy access to Wilderness Oak Drive, Blanco Road, and only few miles to Loop 1604. Large Walk-in closet with very nice drawers, Framed mirrors in bathroom, new temperature reducing window covering. New light fixture in dinning room and family room, new carpet. 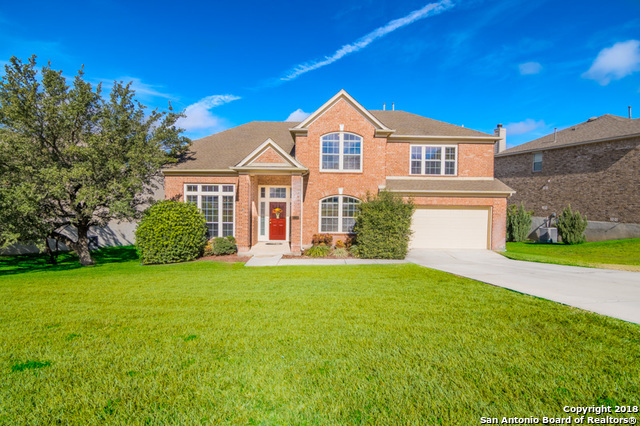 House is in excellent NEISD school ISD."